After a while, it all begins to look eerily familiar. What The Heck Happened To The Stock Market? Most of you probably did not notice the drop in your retirement accounts at the end of last week. CNN was still covering the story of the American guys on the French train, and frankly, there in nothing more pointless than staring at your 401k balance every day. This morning, however, CNN and the rest of the media are off to a roaring start on the topic of stock markets. While we were sleeping, China's market gave in to the fears of a crash... and crashed. Which led the European markets to fall into a bit of a frenzy during the wee hours of our morning. Which caused our own market traders and press to fall into a tizzy over their morning coffee. And there you are; a news story to rival failed terrorist attacks. So, is this the crash we've been dreading? Probably not. Don't get me wrong, this is going to hurt in China, where we have suspected for months that the amount of money (much of it borrowed) in Chinese stocks is excessive. And the amount that middle-class Chinese investors lose here could well cause problems for some companies that depend on those Chinese consumers. But very few people outside China are invested in this market. In fact, it was only in October of last fall that China began to give out licenses allowing foreign investors to buy directly into their markets. And that move itself was a sign of China's new direction. In its best years, China's GDP has grown by as much as 14.2% from one year to the next. And China has had no difficulty getting its GDP to grow about 7% to 8% a year since 2012. That number seems to be steadily dropping, though, which means that while China's economy is still getting bigger and richer every year, it may only be by 6% instead of 7%. You might be thinking that this doesn't sound like such a bad problem to have. And you'd be right. Consider this—for 2014, the annual growth rate of the U.S. was 2.3%, the U.K. was at 2.6%, and Germany was at 1.6%. Among the "highest performing" countries in terms of growth rate were South Sudan (36.2%), Sierra Leone (13.8%) and Papua New Guinea (8.4%). The fact is that 2% of a lot is still bigger than 36% of next to nothing. So why is China in panic mode? What all the figures are telling us is that China is no longer (and hasn't been for a while now) an "emerging market" or a "developing country." It is a significant player in the global economy with a well-developed work force, a solid middle class, and a stock market capable of handling enormous investments in Chinese firms. The nation now has to iron out its plans for this new role. And the rest of us are going to have to adjust to those plans, as well. That doesn't mean the transition will be easy, but it does mean that China's stock market problems are not likely to cause a global melt down this year. And if you are feeling anxious about that 401k balance this morning, take another look at last month's post, What To Do When The Stock Market Drops. Curious about GDP? Read more at Investopedia's GDP entry, or check out the GDP growth rates of all the world's economies at Trading Economics. 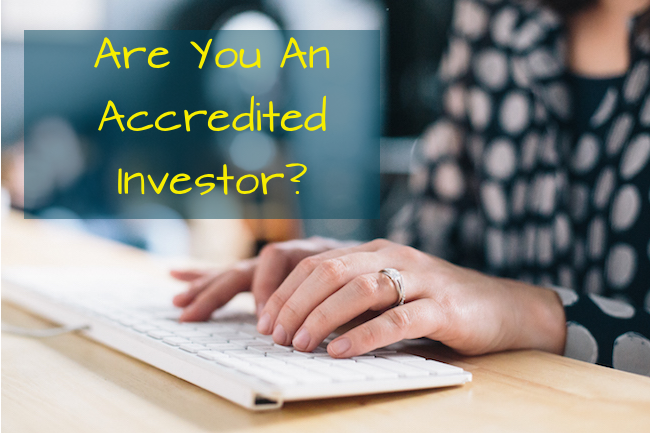 I considered calling this post "What The Heck Is An Accredited Investor?" But unless you are hanging out with stock brokers, you probably don't even recognize the term. That's a problem, because the SEC's accredited investor rule often dictates what you are allowed to invest in and what sort of businesses can afford to ask you for an investment in the first place. The rule has kept our money flowing in certain directions since the aftermath of the Great Depression. And for the first time since then, we are seeing serious efforts made to change it. So what is it and why should it matter to you? So, are you an accredited investor? Accredited Investors are the holy grail of ambitious start-ups and private fund managers. If you fall in the Accredited Investor category, the SEC assumes that you can look after yourself (financially, anyway), so many of the careful protections they put in place to keep us all from being squirreled out of our money don't apply to the deals you can make. You would think, then, that you'd have to be very rich or very sophisticated to be an Accredited Investor. The fact is, though, that a lot of well-off but not necessarily "wealthy" people are starting to fall into this category. And it's hard to see where we get the idea that they are all that financially sophisticated. There are two ways that someone usually qualifies as "accredited": 1. you have at least $1,000,000 in assets (not including your home), OR 2. you made at least $200,000 a year for the past two years and believe you will earn that much next year (the number is $300,000 if it's you and your spouse jointly). (SEC Reg D, Rule 501). That first category pulls in quite a few retirees whose pension funds grew over the decades or who inherited retirement funds or property from their own parents. Some of these folks are very sophisticated about money. Most of them probably are not. And while earning $200,000 a year is a great thing, that's not exactly rare or a sign of financial sophistication, either. Sophisticated or not, though, if you are an accredited investor, private businesses, start-ups, hedge funds and other sometimes murky investments are out there looking for you. Does That Mean I Can Invest In the Next Tech Start-up? Why, yes it does—maybe. Your Accredited Investor status matters because it means companies can ask you to invest even if they haven't gone through the paperwork and review process that the SEC usually requires in order to sell an investment to the general public. This can be a very good thing. With SEC public investment filings costing hundreds of thousands of dollars, smaller but equally worthy companies often just can't afford to the process. Limiting themselves to accredited investors means that they still have to follow some basic laws related to what they tell you (and don't tell you), but they don't have to come up with the independent audits and elaborately detailed paperwork. Note, though, that this also means they don't have to make all of that information public for inspection. In other words, it's up to you to make sure you ask the right questions. If, after you've asked those questions, you still don't understand something, get an expert. Don't let company representatives, brokers or even your own advisor gloss over the important facts about what you are buying. If the expert in front of you can not make these things clear, or if you are worried that he or she has a conflict of interest, bring in another expert review the materials. Ask an accountant, attorney or financial advisor who is not involved in the deal review the particulars. For more questions that every investor should ask, check out the SEC's online investor guide. Well, not everyone, necessarily. But all of those chatty economists. And your grandma, of course ("Why is this store so expensive? 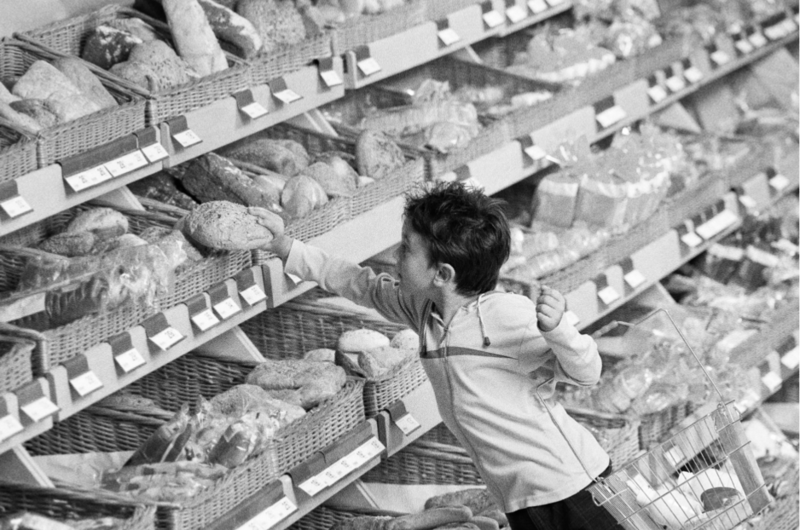 You know, I used to be able to buy a loaf of bread for a nickel!"). But we are seeing signs that inflation is on the rise after years of a whole-lot-of-nothing. So what does it mean and why should you care? Inflation in the U.S. has averaged about 3.32% over the years from 1914 to now. But in between there have been a few times when things went crazy. In June of 1920, the price of all sorts of products skyrocketed by 23.70%. That's like watching your neighbor by a car for $20,000 and four weeks later, having to pay $24,740 for the exact same car. It gets worse if you think about the fact that the CPI (Consumer Price Index) by which we generally measure inflation includes a lot more than cars—groceries, rent, medical costs, clothing, services and supplies are all in there getting ridiculously expensive all of a sudden. It was a moment of spectacular political failure—the feds had slashed spending and raised interest rates to try to balance the budget, and everyone panicked. But what followed was equally bad. By June 1921, prices had dropped to the point where it became obvious that no one was buying anything. That month, the lowest inflation rate in U.S. history came in at -15.80%. Over the 18 months that the recession lasted the wholesale price of a lot what we buy fell by well over a third. Things were cheap because no one was buying. And the jobs disappeared as a result; unemployment went from a pretty normal 5.2% to a painful 11.7%. That's almost 12% of American who could work not being able to find a job. All of this brings us to our current predicament. Our own Great Depression (after the 2008 crash—thank you, Wall Street) pretty much killed off inflation. The money just wasn't moving. And as much as we enjoy the lower prices, we've been counting on inflation to make a return (along with some more jobs, thank you). Fortunately things are finally looking up. Inflation has gone from -2% this past April to .1% in June (total for the past 12 months). Still not impressive, but better than the goose egg we've been looking at since 2008. And speaking of eggs— they accounted for most of the inflation in food this summer (it was a tough spring for chickens). So you might do better to stick with that loaf of bread after all.